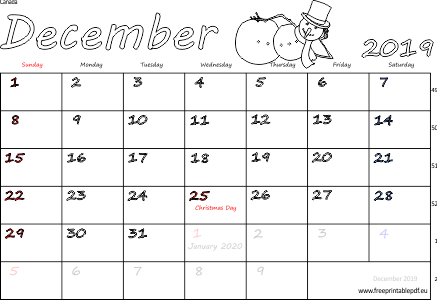 Calendar for December 2019 with Canada holidays. Just download interesting project and print it. Useful for kids and adults. 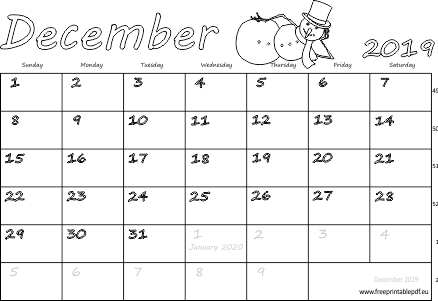 All calendars with week numbers and snowman. May be used as monthly planners for Canadians.